Imagine you’ve had a stressful day and you come home with the intention of pouring yourself a glass of wine and hopping into your Jacuzzi tub. Now imagine you turn it on and as the jets fire up, the tub fills with nastiness; the kind of nastiness that is slimy and black. Jacuzzi jets can be a breeding ground for bacteria and mold and if they are not cleaned regularly this is exactly what will happen without proper maintenance. Fortunately, the jets are easy to clean and maintain if you follow the following instructions. 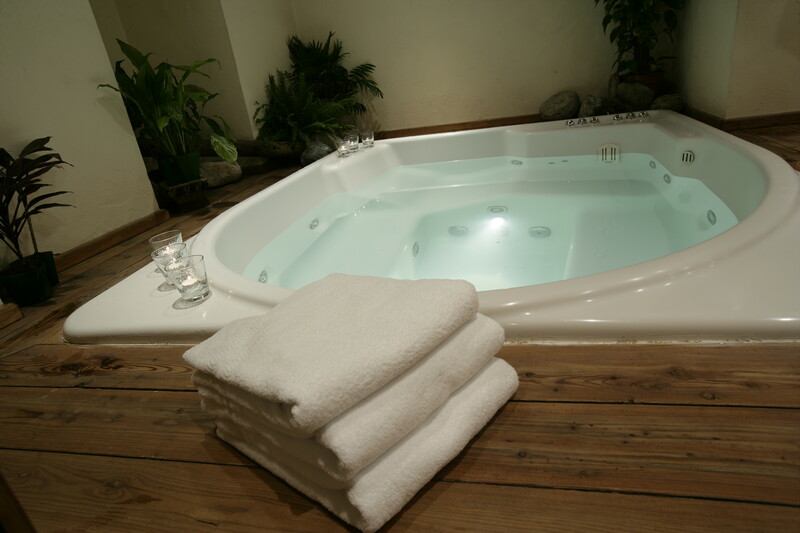 Clean your Jacuzzi tub surfaces about once a week with the bathroom cleaner of your choice. You only need to clean the jets about once a month. Fill the tub with hot water to about 4 inches above the highest jets. While the water is running add 1/8 cup of powdered dishwasher detergent and 1 cup of bleach. Bleach is an effective disinfectant, however, some manufacturers may advise avoiding bleach as it could dry out internal gaskets. If bleach is not recommended, use 1 cup of white vinegar instead. Once the tub is filled with hot water, bleach (or vinegar) and dish detergent turn on the jets to the highest pressure and let them run for about 15 minutes. Depending how long it’s been since you last cleaned the jets, you may see some pretty gross stuff churning around in there. That is a good thing; it means the pipes are getting a good cleaning. Drain the tub, cleaning out the residue and refill it above the jets with cold water this time. Run the jets for another 10-15 minutes to rinse the tub thoroughly. Drain the tub and clean it again with your choice of bathroom cleaner. At this point your Jacuzzi tub should be clean and ready for you to take a nice long soak with no disgusting surprises this time. Time to pour that glass of wine and relax and enjoy! This entry was posted in Bathroom Cleaners, Cleaning Chemicals and tagged clean hot tub, clean jacuzzi tub, jacuzzi jet cleaning. Bookmark the permalink.